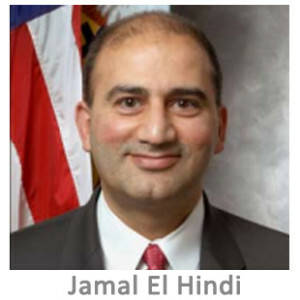 Prior to coming to FinCEN, El-Hindi served as the Associate Director for Program Policy and Implementation at the U.S. Department of the Treasury’s Office of Foreign Assets Control (OFAC) from June 2005 to June 2006. In that capacity he oversaw OFAC’s Compliance Outreach Division, Licensing Division and Policy Division. Previously, he was an Attorney-Advisor in the Office of Chief Counsel (Foreign Assets Control) within Treasury’s Office of General Counsel, where he served as a legal advisor on various economic sanctions programs. Before joining Treasury in December 2000, Mr. El-Hindi was an associate at Patton Boggs LLP in Washington, D.C.